Tipped in DJ mag by John O’Callaghan, ”I’m tipping this guy to be massive” and praised by trance legend Paul van Dyk ”An extremely exciting talent” Sneijder has not disappointed. Traveling the world on a regular basis and featuring on the same lineups as the worlds best, it didn’t take the Irish DJ/Producer long to become one of the most talked about prospects on the scene. Now a regular fixture on all the top name playlists, Sneijder continues to go from strength to strength. Gaining heavy support from Armin van Buuren, Aly & Fila, John O’Callaghan, Tiesto, Gareth Emery and more, Sneijder is taking his sound global. 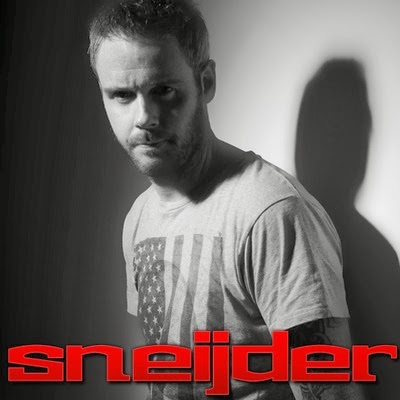 Known for his trademark sound, a fusion of uplifting and tech trance, Sneijder is fast becoming one of the most in demand artists in the trance scene. Already notching up an impressive 4 Beatport top tens and featuring on countless compilation albums such as ‘Armin van Buuren – A State Of Trance 2013′ ‘John O’Callaghan’s Subculture’ ‘Gatecrasher Anthems Mixed by Paul van Dyk’ ‘ATB In The Mix’ ‘The Official ASOT550 CD’ & more. Completing a series of chart topping remixes for Armin van Buuren, John O’Callaghan, Solarstone, Giuseppe Ottaviani, Betsie Larkin & Andain, has put the Sneijder name firmly amongst the worlds trance elite. Playing all over the globe each week to thousands of fans in countries such as Australia, Argentina, UK, Scotland, Ireland, Egypt, Poland. Spain, USA, Mexico, Canada & featuring at the worlds largest trance event, ASOT600 Den Bosch, Holland.